Welcome to Granaria, a flying city in the clouds. Meet Amelia - a young pilot and fisherwoman wishing to reach the abundant world's edge. Sky fishing became a really dangerous job, with pirates roaming around everywhere. So start your engines, arm your airplane and get ready to make the catch of a lifetime! 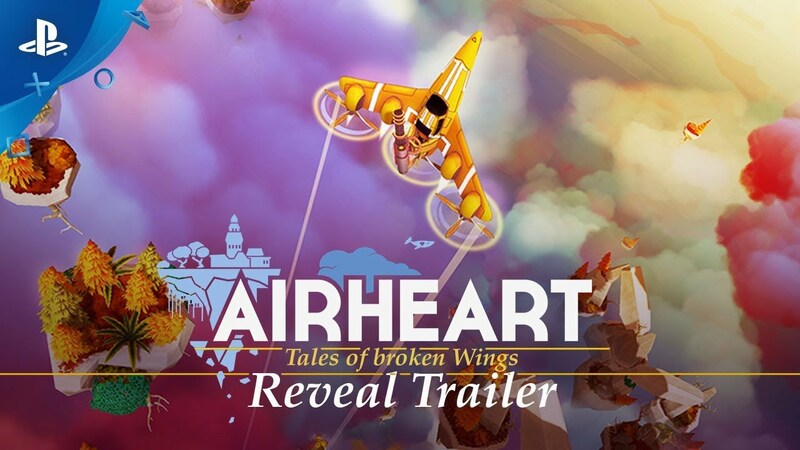 Airheart combines free roaming, twin-stick gameplay with a beautiful, colorful world. Defeat your enemies, salvage their scrap and reuse it to craft new parts for your airplane. Build and try out over 40 weapons and airplane parts. Combine their abilities to become the pirates' worst nightmare. Or just have some fun with your enemies and use your harpoon to disarm, unshield, swing them around or drag them back home to disassemble them. Airheart is the story of Amelia, a fisherwoman from the flying city Granaria. She arrived on Granaria ten years ago as a refugee from the endless desert below. She grew up alone, due to her father not making it. To pay dilligence to her father's sacrifice, she dreams of flying all the way up to the Stratosphere to hunt the legendary skywhale, a mythical creature that is said to bring fame and fortune to anyone who catches it. Airheart is twin-stick shooter with a twist. Every level of the game is built on top of the last one, creating a long, dangerous journey all the way to the Stratosphere. The player will visit various seasons and settings with dozends of enemies, but needs to be mindful of their airplane's health. Crashing can have horrible consequences, such as destruction of airplane parts or even permanant death. Instead, the player has to dive back home before he reaches critical damage. When returning, all previous islands will become obstacles on the way back home, where he can use scrap he found and fish he caught to craft new weapons and airplane parts.